The student and alumni picnic is becoming a regular event at the beginning of autumn, bringing our community together in the great outdoors! We are pleased to invite all our students and alumni to joins us these last sun-drenched days for a nice gathering in the open air. 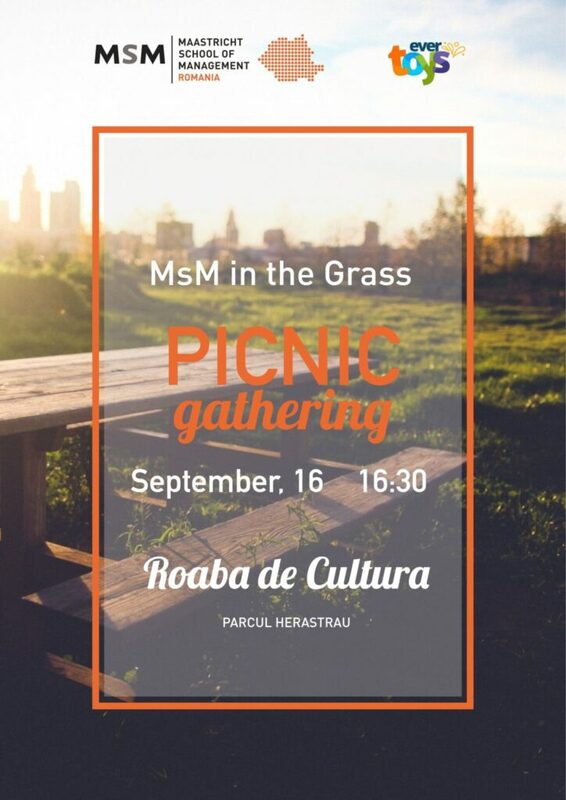 We have put together an old-fashioned picnic in Herastrau Park, at Roaba de Cultura, Saturday, the 16th of September, at 16:30. Our partners for this event, Evertoys, a company that was born and funded at MsM Romania, will prepare a special corner, filled with toys, that your children can discover and enjoy playing with! And because good food is the foundation of great fun, we will offer a tasty assortment of quiches and home-made biscuits, that both you and your children will love! Don`t forget to bring a blanket to share with a friend! You can fill in this form, to let us know in advance that you will join us! This event is created solely for students and alumni of MsM Romania, CEU Business School, Pilkington Ratiu Business School. For more information, please contact us at 0725 695 687.